If you are doing the reverse banana pancake trail, you will have to cross the land border between Cambodia to Vietnam, which is from Phnom Penh to Ho Chi Minh city or Saigon. There are different ways you can do this. Depending on your travel style, budget, and how much time do you have in your backpacking in Vietnam. If you need suggestion for a place to stay in Vietnam, check our very own best Vietnam hostels list. Perhaps you want to go on a motorbike trip in Vietnam, find here all the information you need to know. 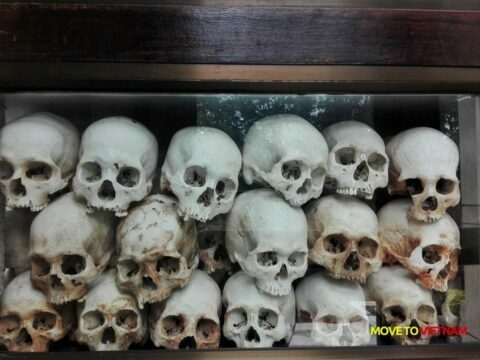 While here are some fun and unusual things to do in Vietnam. The first land border crosing between Vietnam nad Cambodia that was opened to foreign travellers, it is also the most popular until today. This border is know river crossing between Phnom Penh and Chau Doc. You can get a fast and/or slow boats here. Once you get to the border, a fixer will collect all the passport to process the paperwork. You can come if you are feeling uncomfortable to give away your passport. This border is close to Kampot or Takeo. and is open for foreign travellers. However, it is quite expensive to get a transport from here. It is a Cambodia/ Vietnam coastal border and is open to travellers with valid visa. It is only twenty minute motorbike ride from Kep and it costs about $7. The most common way to cross the border is to take a bus from Phnom Penh to Ho Chi Minh city. Some travellers wonder if they can cross the border from Siem Reap directly Ho Chi Minh city but that's simply not possible. 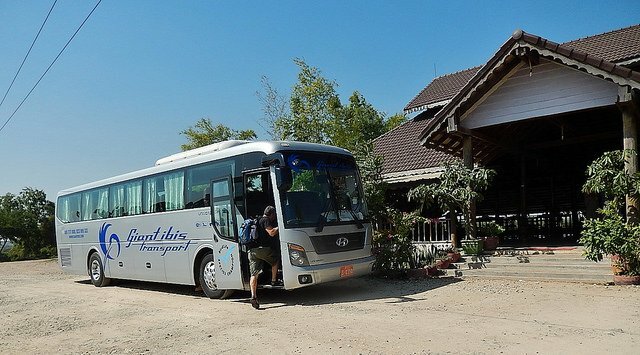 There are travel agency who offers this but the truth is, the bus will still have to stop in Phnom Penh where you can change to another bus. RELATED POST: Here is our backpacking in Vietnam article which we tackle different topics under it. The bus journey will be about 6-hour journey with a 10 minutes lunch break before crossing the actual border. Some buses have a toilet in the bus some doesn't. While other bus companies offer a free lunch too. The landscaper during the trip is quite nice, you will see the green fields and country life of Cambodia. There are overnight buses where the travel time takes about 11 hours instead of 6 hours. This is mostly because of number of stops and the fact that the border only works during the business hours, therefore, you need to spend a few hours in the bus until the border is open. Also, the sleeping berths they have is basically a double sized bed, whereas you have to share it to a stranger. Depending on your budget it ranges between $12-$18 depending on the time schedule and company. I personally have tried The Sinh Tourist, Kumho Samco, Mekong Express, and Giant Ibis. The Sinh Cafe was okay but not the best but it's the cheapest. The buses are old and the seats are not comfortable. While Mekong Express was a little better than The Sinh Tourist, there seats are more comfortable, some buses can be old. There was a time where water was dripping right on top of me, luckily, the seat next to me was empty. They also offer mini vans which are faster than the big buses. On the other hand, I also tried their new bus which was great. Kumho Samco is not bad either, they have reclining seats which is good, however, their air-conditioner is not the best. Giant Ibis is the tourist's and expat's favourite. Spacious, newer buses, great air-conditioning, and their staffs speak good English. They are also the most expensive, starting $18. Our luggage was not scanned during the crossing, they were left in the bus. Remember to bring your valuables like passport, wallet, and gadgets. Your driver or conductor will explain to you how to cross the border, get to the immigration office, and how to find your bus again. Go the the immigration office to get your exit stamp, it's easy and straight forward, unless you have overstayed. You will hop back in to the bus until you reach the border office of Vietnam which is about 2-3 minutes. Depending on your nationality, there are free visa available at the border. If you need a visa and your country is accepted for visa on arrival, all you need to do is give your passport and pay the fee. If you need a visa before entering Vietnam and is not applicable for a visa on arrival, you need to process your visa beforehand. You can do this in Phnom Penh. 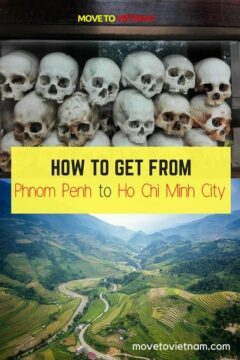 Check this guide about how to apply for a Vietnam visa in Phnom Penh. Your bus company conductor will collect your passport, this is mostly for those who are doing a visa on arrival or simply to fast track the process, it is common that they charge $5 for this service, on top of the visa fee (which is $35 for those doing a visa on arrival). You can chose to not give you passport and stand on the line and get your own stamp if you feel uncomfortable to give your passport to someone apart from the immigration officer. You will give your passport to the person in charge (normally you will see a pile of passport on the desk, just ask if you should add it there). Your name will be called once your passport has been stamped. Proceed to the exit of the building and hop back in the bus. Enjoy the rest of the journey. If the bus company have an office at the backpacker's street (Pham Ngu Lao), you will more likely to be dropped there. If you are unsure, ask you conductor where the drop off will be. You can easily walk to most hostels from Pham Ngu Lao, if you have too many luggage or your hostels is quite a walk, hop on a taxi or book it through the app called Grab (this work just like Uber). You can order a motorbike taxi, a real taxi, or a car. 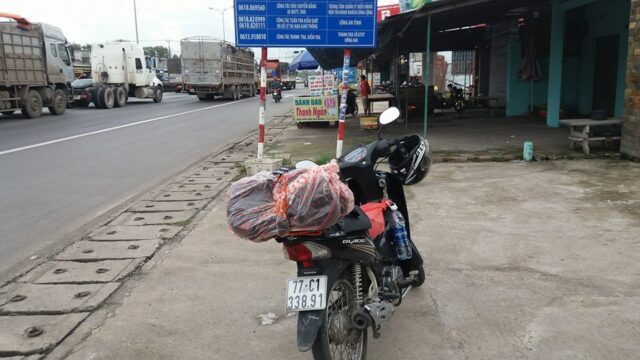 Here is a in-depth guide about motorbiking in Vietnam; find out what you need to know before starting your trip. If you prefer to fly or your budget permit, there are direct flights between Phnom Penh to Ho Chi Minh city. They are usually carried by Cambodia Angkor Air, Vietnam Airlines, and Qatar Airways with at least once or twice a day schedule. However, flight tickets are not the cheapest. They range between $75 to $130 for one-way. You can check flights here. Either you are a backpacker, on a full-on holiday, or a family traveller, Ho Chi Minh City can accommodate your need well enough. Best is to check out our where to stay in Ho Chi Minh City guide to compared the best ones from another and see what suit you better. From Ho Chi Minh City, travellers would either go to Phu Quoc, an island best for holiday makers or tourists who love to relax on the beach. Vung Tau, a beach town not far from Ho Chi Minh City (how to get to Vung Tau from HCMC) - also a less travelled place in Vietnam. While most people would head to Mui Ne (here is how to get to Mui Ne from Ho Chi Minh City), another beach town known for water activities such as kite and wind surfing, sand dunes, and visiting small villages. 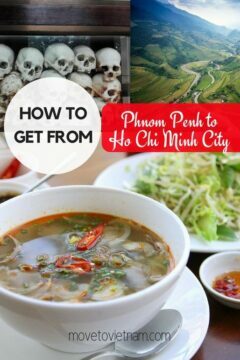 I hope you find this article about how to get from Phnom Penh to Ho Chi Minh city has been useful for you. If you have questions, let us know on the comment section.